The first half of Horizon takes place on Almagest, the planet that Caeli calls home. After she saves and heals Derek when his spaceship crashes on her planet, they get close quickly because they are connected through her gift. She tells him her story by showing it to him in his mind. Because of this, Derek and the reader learn a lot about Caeli and her history. Even though she has had a terrible few years, I liked this part of the story the most. Derek’s character isn’t nearly as developed as Caeli’s character. He’s a commander who flies spaceships and he has the same desire to save people that she has. He’s brave, kind, and good looking. That’s about it. Maybe his character will be more developed in the next book? The second half of Horizon takes place on board the command ship Horizon and on a planet that is in danger. Although this half of the book never slowed down as far as action, I found myself wishing they’d have a reason to go back to the planet. Again, maybe in the next book? 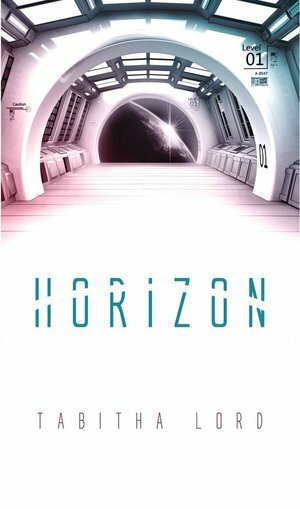 Horizon is a great first novel and I look forward to reading Infinity, the second novel in the Horizon series. for years at an independent Waldorf school, where she now serves on the Board of Trustees. Tabitha’s debut novel, Horizon, won the Writer’s Digest Grand Prize for Self-Published Fiction in 2016, and was named finalist in the Next Generation Indie Book Awards and National Indie Excellence Awards. Infinity, the second book in the Horizon series, will be released in June 2017. Her short story “Homecoming” appears in the anthology Sirens, edited by RhondaParrish and published by World Weaver Press, and was recently nominated for a Pushcart Prize. 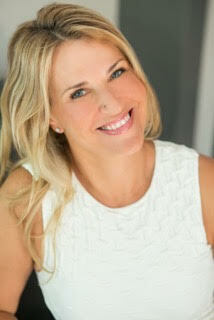 She is also a senior editor for www.BookClubBabble.com. You’re welcome. I’m looking forward to reading Infinity. Thank you for your comment and for joining my blog. It’s a very good book and I’m pretty sure you’d like it.